The summer heat waves are moving out and the comfortable fall weather is rolling in. 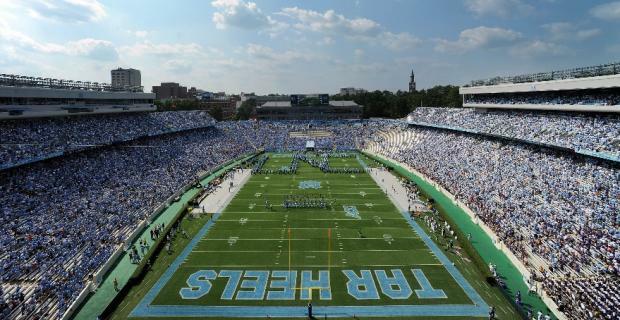 One of our favorite fall traditions in Chapel Hill is attending UNC football games held at Kenan Memorial Stadium. Whether you’re a Carolina fan or are visiting for the away team, we’ve got a list that’ll help you determine where to eat, sleep, tailgate and more! The Carolina Inn – Located right on UNC’s campus is the historic Carolina Inn. If you’re in the mood for a bit of history in a prime location, this is the hotel for you. The Inn sits just one block away from Franklin Street near all of the dining and shopping to round out your football-filled weekend. The Franklin Hotel Chapel Hill, Curio Collection by Hilton – This urban luxury hotel is located on Franklin Street, just one mile from Kenan Memorial Stadium. On your way to the stadium, you can stop at countless shops, restaurants, tailgating locations and join in on pre-game traditions. Hampton Inn & Suites Chapel Hill-Carrboro Downtown – Just 1.5 miles away from Kenan Memorial Stadium, this new addition to Orange County places you right between Chapel Hill and Carrboro. In one direction, you have Franklin Street in Chapel Hill, and in the other direction, you have Main Street in Carrboro. 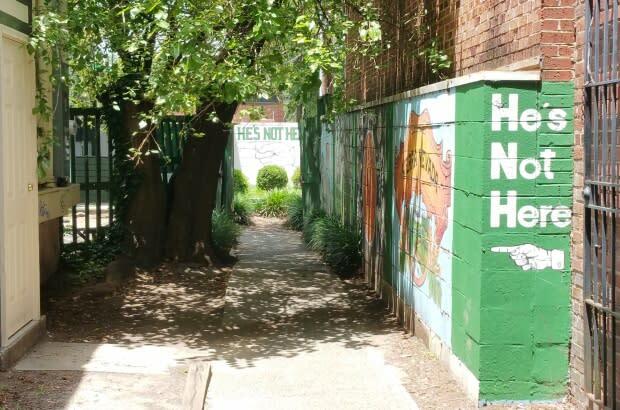 This hotel is right next door to local music venue Cat’s Cradle, as well as many other local dining favorites like Carrburritos and Rise Biscuits Donuts. AC Hotel by Marriott Chapel Hill Downtown – Chapel Hill’s newest hotel addition is just two blocks from UNC’s campus and places you right in the middle of Franklin Street. With a mix of modern design and southern traditions (try their signature cocktail with TOPO Organic Eight Oak Whiskey), it’s a memorable place to stay and convenient to all of the hot spots in town. Aloft Chapel Hill – Over toward the North-East part of campus, Aloft Chapel Hill may be on the opposite side of Franklin Street, but doesn’t lack in places to visit. The North Carolina Botanical Garden is down the road and there is a variety of restaurants just next door, including The Egg & I Restaurant for a diner-style breakfast or lunch. 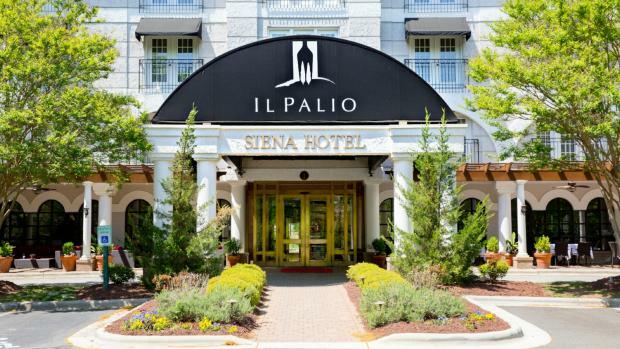 Siena Hotel – Also located on Franklin Street, the Siena Hotel is home to the only AAA Four Diamond Italian Restaurant in North Carolina: Il Palio! Highly awarded and just a quick drive away from the stadium, this boutique hotel is perfect if you want take your sports-filled weekend up a step. Carolina Coffee Shop – Stop in for breakfast at the oldest original restaurant in Chapel Hill! Are you more of a night owl? That’s okay, because Thursday through Sunday, Carolina Coffee Shop is open until midnight, offering everything from biscuits and gravy to specialty cocktails. Might As Well Bar & Grill – This is the perfect sports bar to watch some Carolina Football, order great food and grab a cold beer. Offering daily specials, appetizers, pizza, burgers and more, there’s something for everyone. This location is open daily from 11 a.m. to 2 a.m., so whether your team wins or loses, you might as well stop by. Four Corners – At Four Corners, they celebrate the dynasty that is UNC athletics. This casual sports bar has 20 high-definition TVs so you won’t miss even one second of a game. If you like locally grown food, draft beer and sports, this is the spot for you. Linda’s Bar & Grill – Whether you want a full meal or some late night munchies, Linda’s has what you crave! Their full menu is offered until midnight, with appetizers until closing time. Their loaded cheese fries with house made ranch are some of the best on Franklin Street (and taste even better around 1 a.m.)! He’s Not Here – This is the Home of the Blue Cup! You can fill this 32oz cup with any draft beer or cider. The beer garden has indoor and outdoor seating with live music on Fridays (weather permitting). Start your weekend with live music and a Blue Cup to show your Carolina pride! Goodfellows – Open from 8 p.m. until 2 a.m., this is where you can enjoy a night out without emptying your wallet. With over 50 different beers and 18 on tap, this sports bar is a place where locals enjoy great beer and a fun atmosphere. 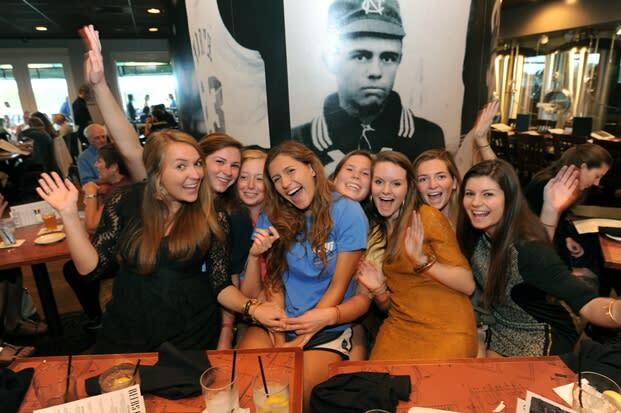 The Crunkleton – In town rooting for the Tar Heels but not looking to relive your college days? Avoid the hectic crowds and grab a craft cocktail at this highly acclaimed private club. Pay a $5 membership fee at the door to enjoy over 300 distilled spirits, barrel-aged cocktails and a variety of beers both bottled and on draft. 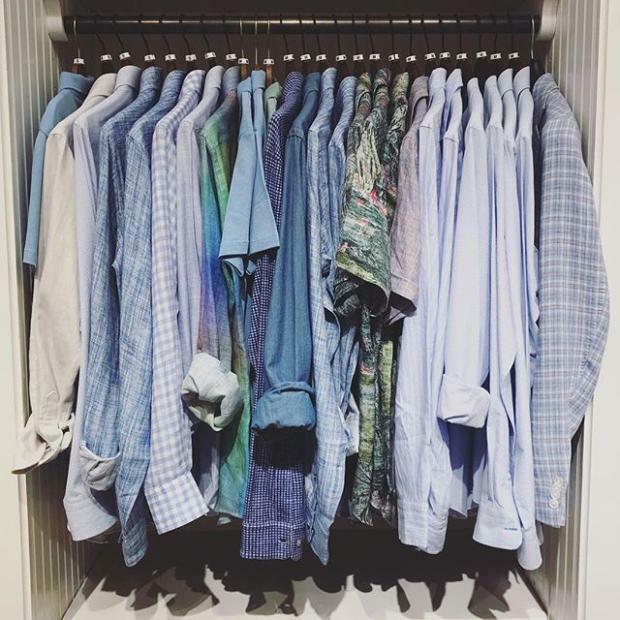 Chapel Hill Sportswear – Did you forget your favorite UNC shirt? No need to panic! Chapel Hill Sportswear has got you covered. They opened in 1989 and have been supplying Tar Heel fans with gear for decades! Stop in to collect your favorite Carolina souvenir. Julian’s – This family owned clothing store has been open since 1942 and has clothes for men and women. They will help you dress to impress with their unmatched customer service and custom tailoring. Johnny T-Shirt: The Carolina Store – It’ll be hard to find a color other than Carolina Blue in this store. With your official UNC apparel, accessories and household items, this is the best place to buy all things UNC. Be sure to grab a button on game day! Uniquities – You can find the trendy and stylish clothes here at Uniquities. This women’s boutique has premium denim, fashion-forward clothes and the accessories to match! Tailgate Guys - Do you love tailgating? Do you want to avoid lugging all of your tailgating supplies to Chapel Hill? The Tailgate Guys have got you covered! Their locations are a short walk away from the stadium and they will provide you with tailgating equipment, a reserved space, concierge services and more to ensure the best tailgating experience. The tailgating sites typically open five hours prior to kickoff and close about three hours after the game ends. Let the Tailgate Guys help you feel at home whether your team is home or away! BYOT – Bring Your Own Tailgate! If you’re more of a DIY Tailgate enthusiast, there are plenty of lots where you can grill out, chill out and embrace the football spirit! Parking lots and decks open at 8:00 a.m. on weekend game days, and fans are encouraged to being tailgating at that time. The Tar Heel Express is also available to shuttle you around Chapel Hill. It’s $5 for round trip, $3 for one way, and there’s no parking fee for any Tar Heel Express pick-up lots. All bus drop off/pickups will be along South Road in front of Carmichael Auditorium and Woolen Gym (a two minute walk from Kenan Memorial Stadium). The Victory Walk starts at the top of Bell Tower Park two and a half hours prior to kickoff. Fans can greet the team as they follow the Marching Tar Heels and cheerleaders from Bell Tower Drive to the steps of the Kenan Football Center. A Carolina tradition, the Victory Walk is your chance to be up close and personal with the football team as they make their way through the Kenan Amphitheatre to Kenan Stadium. Grab a prime location along the route to guarantee your chance to see your favorite Tar Heel! Tar Heel Town: Located at Polk Place, Tar Heel Town has something for every Tar Heel fan – music, food, giveaways, and family activities including face painting, inflatables and more. Tar Heel Town is the place to be to listen LIVE to the Bojangles’ Countdown to Kick-off pregame radio show with Dave Nathan and special guests two hours prior to kickoff. The UNC Marching Tar Heels also have a special performance one hour before game time! For more information about Carolina game day traditions, parking, tailgating and more, click here. Don&apos;t forget about the Clear Bag Policy when coming to Kenan Stadium.